Britons waste 220,000 tonnes of food. Bring on Hilary Benn! There’s another story with a mention of Hilary Benn’s ‘War on Waste’ in the Times today. Fifty three per cent of us would never eat fruit or veg after its best-before date. Thirty six per cent believe best before is the same as “use by”. Half of us don’t understand the different date labels — use by, best before, sell by or display until. According to WRAP’s Julia Falcon, sell by and best before are to do with stock control more than safety, and should never have been visible to the public. “I once spent a very happy hour in the bins at the back of a Marks & Spencer. A group of freegans — people whose dietary stricture is that they don’t pay — took me along on their regular midnight “bin-diving” foray. In M&S’s well-stocked dumpsters we found unbelievable bounty: roasts and salads, sides of smoked salmon, tiger prawns and lavish ready meals, asparagus, strawberries, cherries, cakes, cheeses, chickens — all in perfect condition. Sell-by dates on most of the food had passed just an hour or so earlier. We did not find anything that was not perfectly edible. How could we tell? By using those old-fashioned pre-barcode tools, our eyes and noses. When the six of us emptied our rucksacks back in their flat we had nearly £3,000 worth of food. The freegans, all university students, told me that taking up bin-diving had changed their lives. They were richer and they had never eaten so well. I was there in the cause of journalism, of course, but I did manage to cook a three-course lunch for eight people the next day at a total cost of 40p (I had to buy a couple of onions). Well done, M&S — great food, imaginatively presented: and they hadn’t poured bleach or dye in their bins as most supermarkets do. Read the rest of the story by Alex Renton at Times Online “Best befores are past their sell-by date” and check out his “Seven ways to waste less food” tips too. As ever, we’d love to hear your thoughts. Do you use ‘best before’ dates? Did you know that sell by and best before are to do with stock control more than safety? 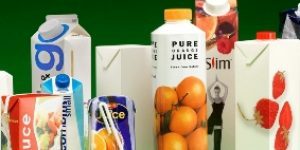 Benn sends packaging waste packing Could the Uk become zero waste within a decade? Use by dates – my a***! What do you think of Use By Dates on food? A simpler date system is ideal for consumers, even though supermarkets will not have the ‘best-by’ facility which aids shelf-stacking. They can use another system which does not confuse the issue, possibly using a lettering based display. Some food ‘waste’ from all supermarkets is edible and therefore can, and should, be recirculated. This would require a formal structure or agreement. Maybe the freegans could contact supermarkets/politicians etc to explore the possibilities. I wasn’t even aware of the different ‘best before’ & ‘sell by’ dates – it’s a bit different here in Slovenia, & I was never paying that much attention! I usually did check the date in the supermarkets, as a buying criteria, but at home we ate some stuff even after the date, if it looked & smelled good!! I agree it would be important to have a structure that allows people (or animals) to eat the still okay food – some bread in Slovenia is landfilled!! 🙁 And this is really such a shame!! Legislation regulating these things is important!! Some supermarkets or shops may have agreements with local farmers (to get ‘leftovers’) etc – it would be great if people were given an option to eat it first! I’ve never went dumpster diving for food, but I’ve been fascinated by people who eat it & remain healthy! (that I read online about :)) You do probably need a ‘strong stomach’ lol!! I wish ours did too!! I just looked at our products, & they say something like ‘Usable at least until’ – a slight difference in phrasing, that is possibly useful!! Basically you know they are usable/consumable later on too, so not sure if anyone throws them away after that? It would be interesting to ask other people though…? Am doing my bit to promote food reduction and composting today and tomorrow at Hellens, The Garden Festival…might you come, Mrs G? @Layla: Interesting to see you have different labelling guidelines over there, Layla. And what a shame about all that bread … It would be great if some schools or nursing homes could get hold of it for bread and butter pudding! @Mrs Green: The bargains issue may be affected but this may help the food waste issue. If you buy a lot of 1 item, eg apples, at the sell-by date there must be an increased chance of food kept beyond the use-by date, likely to be thrown out. Supermarkets sell this stuff as an off-load, which they would otherwise have to dispose of, at cost to them. They look after their interests first, with scant regard to the consequences. For example, in Dumfries Tesco are building another big store, close to a similar location. This will impact on local traders, affecting local shopping opportunities. In many ways, Supermarkets are the arch-enemy of Zero Waste. The thing is to ‘know your enemy’. When I used to go shopping with my mum or a friend, we would split the BOGOF’s between us. Likewise things like cucumber. We’d never get through a whole one each, so we’d buy one and cut it half ourselves.